Where can I buy the area rug on ‘Megyn Kelly Today’? The area rug on the former “Megyn Kelly Today” set is made by Stark Carpet. 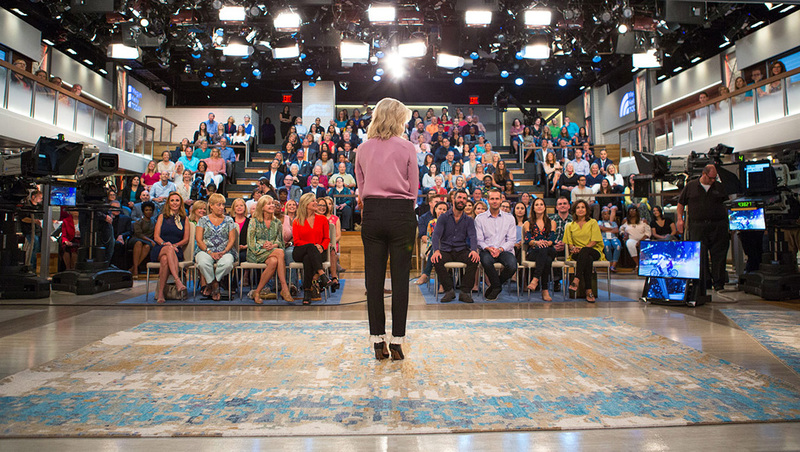 The exact carpet used in what was Megyn Kelly’s studio is no longer listed on the Stark website, but the company offers many rugs in a similar style. Please note that to purchase an area rug from Stark or get pricing, you will need to use the company website to find a local dealer as the company typically does not sell directly to the public. You may also be able to contact a local interior designer who is eligible to become part of the company’s trade program. Stark Carpet products are not typically available on Wayfair, Amazon, Houzz, All Modern or Overstock. Please be aware that Stark Carpet products are significantly more expensive than products at warehouse or general retail stores.